It’s been five years since Ian was diagnosed with a cancerous brain tumor: Primary Adenocarcinoma of the Brain. It was rare, one in a hundred million; the tumor had sprouted tentacles, and we didn’t know for sure if we had found it before it had spread; there was no protocol for treatment; there was no guarantee that Ian would see his fifth birthday. Cancer became a swear word in our house; we wouldn’t–couldn’t say the word in Ian’s presence. We knew his survival depended on us staying positive. And there was nothing positive about cancer, so we worked hard at keeping the word and the devastation of the disease away from Ian. After an aggressive treatment plan of six weeks of radiation and six months of chemotherapy, Ian defied the odds. There was no cancer anywhere in his body. Not only that, but he was not in a wheel chair as predicted. He was physically, mentally, and emotionally strong. And there is no sign of the cancer returning. We say Ian is cancer-free, not in remission, because “remission” denotes that it could come back. We have been so thankful for the medical advances that cured Ian. We are thankful for the people who supported us emotionally and financially. As the years have passed, Ian has a little better understanding of the dangers of cancer, and what he actually went through, but we still don’t talk about it very often. That could be why we had never gone to a Relay for Life event in the past. This was our first year. I wanted to go to support my friend Berni’s team at the event; I thought Ian and I were ready to pay it forward. I wasn’t prepared for the emotions that arrived when I did. I wasn’t prepared for Ian’s emotions and hesitancy. As we walked up to the registration table, I was reminded of all the things I wanted to forget. The word I protected my son from for all these years was proudly displayed on banners and t-shirts and wrist bands. We saw people in various stages of their battles: some hairless, some with a range in hair lengths; some fragile, some vibrant; and some still fighting for their lives. I had an intense desire to take Ian’s hand and run in the opposite direction: I didn’t want Ian to see this. Cancer was no longer our reality; we had put Ian’s fight behind us, or so I thought. I didn’t want to remember our battle, yet it grabbed me by the throat and held me hostage. I tried to hide my pain, while reminding myself that I promised Berni I would be there. I couldn’t turn back now. Ian, however, wasn’t holding back his feelings. He wanted to leave as soon as we got there. I reminded him of the bouncy house and other games he would play. I convinced him to stay, but I started to doubt that decision. Did it do more harm than good for Ian to be there? 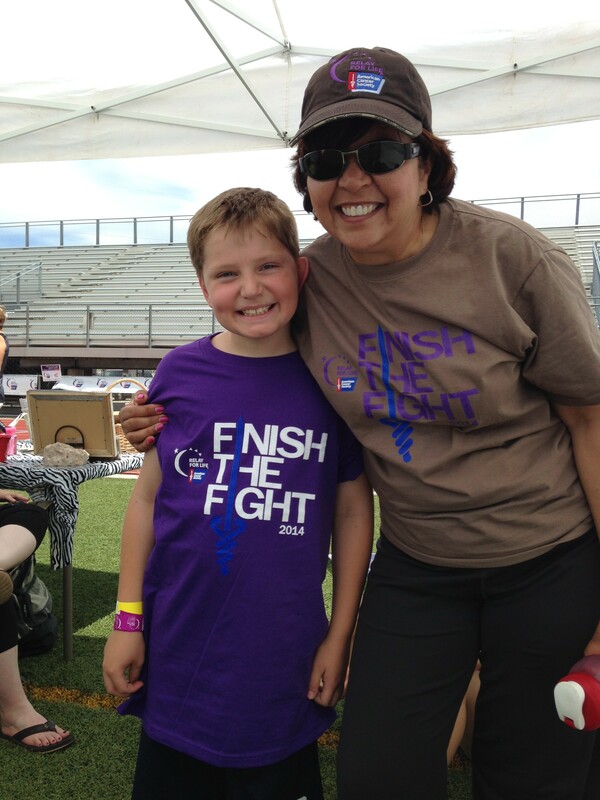 When we got to the tent, Berni gave Ian his purple survivor’s shirt. It had “Finish the Fight 2014” on the front, and “I am strength. I am hope. I am a survivor. Walk with us to finish the fight.” on the back. Ian didn’t want to wear it; it was too big; he was uncomfortable. Was it because, like me, he didn’t like the word “survivor”? Shortly after we arrived, we went to the “Survivors Lunch.” The organizers gave Ian a cup and a pin; they gave me a survivor’s “Caregiver” sash. 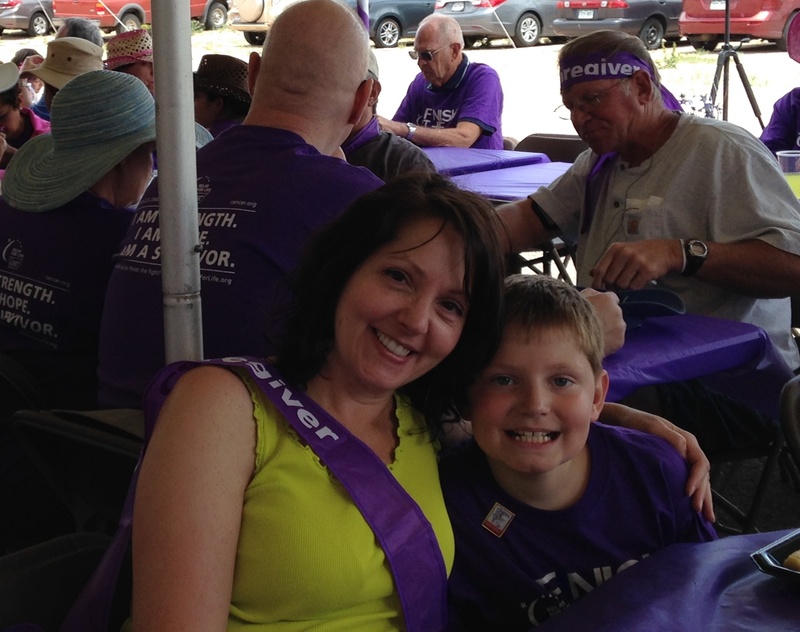 We sat in a sea of purple shirts and sashes–but all the survivors were adults. As Ian and I walked by, I heard the comments: “That little guy is a survivor? How terrible that he had to have this disease.” The grip on my throat became tighter. So many people have battled this disease. So many people are fighting for their lives for the second or third time. And they felt sorry for Ian. Ian was also uncomfortable with the attention he was getting for something he could barely remember–and what he did remember was painful: being bald, vomiting, needles, waking up from anesthesia–and me crying. He hates when I cry, and any talk of his cancer makes my tears flow. Within minutes of our first conversation with a survivor, the tears were choking me. But that wasn’t the worst part. What had me in a vice grip was that Ian heard that “it” sometimes comes back; my fears for my son were spoken realities in these people’s lives. I looked for an escape route. I felt like we didn’t belong there. We were years away from that traumatic time in our lives. What good did it do to bring it to the surface again? After lunch, we walked around the track and looked at each of the booths. As I saw the number of people who donated their time and resources to raise money to fight this disease, my perspective began to change. 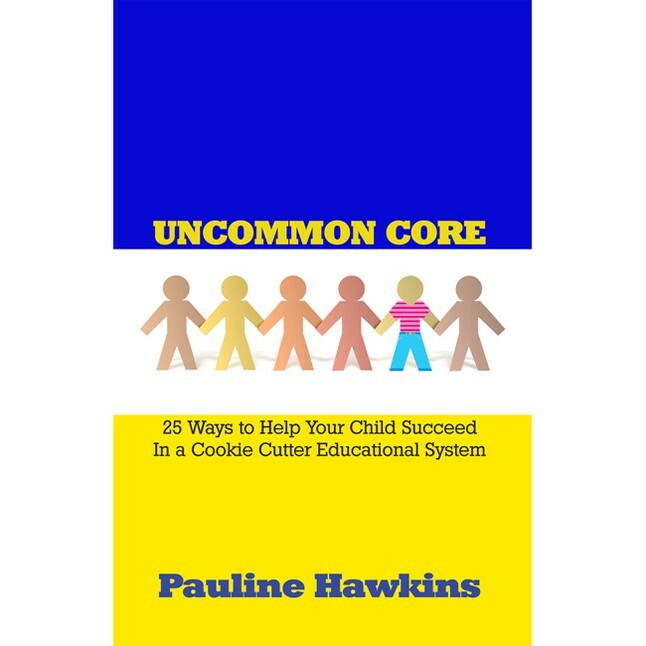 I was able to step away from my personal pain and see that everyone there had similar pain. They, however, released their pain, so they could help put an end to this disease, while I had been harboring mine. I had been protecting Ian for so long, that I didn’t realize that I was protecting myself as well. One of our favorite booths was where a young girl (she couldn’t be more than twelve) was donating her time and talents as an anime artist to raise money for cancer research. Just the other day Ian said to me: “I want an artist to draw me, Mom. Can we do that someday?” And there she was. She took a picture of Ian and turned him into an anime super hero. It’s by far the best item we got from the booths. Ian also loved playing games. His favorite was the “dunking game.” He threw a softball at a target at least 15 times and dunked the various participants at least ten times. 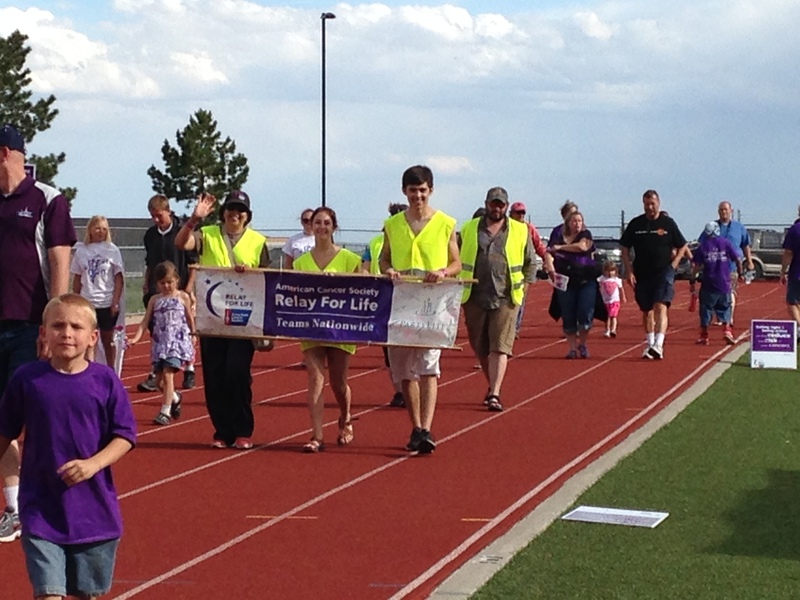 Then it was time for the “Survivor’s Walk.” Ian and I joined the survivors and walked around the track. The survivors had purple balloons that they released after one lap; it was meant to be symbolic for the survivors, but it helped me release my hold on Ian’s story. I watched as Berni’s team walked their lap. My appreciation for her and what she has done for years for this fight grew with every step. At nine, they had the Luminaries Ceremony: People decorated white bags in remembrance of loved ones who had lost their battle with cancer; Berni had two bags. They ended the ceremony with a bagpipe rendition of Amazing Grace. I cried through the song, knowing that these words were still ringing true for me: I still need grace, and I still need to open my eyes to the things I’ve been blind to. For the rest of the night, Ian joined an impromptu soccer game on the field. He was having so much fun. Watching Ian run and play made me realize that we both needed to be there. Ian embraced his past–a past I tried to sugar coat for him because I didn’t want fear to interfere with his healing. I wanted him to envision his future so he could live through the pain and work towards that day when he could run and play again–like he did last night. He played so hard he could barely walk afterwards. The future we envisioned for him in the midst of his battle is his reality today. 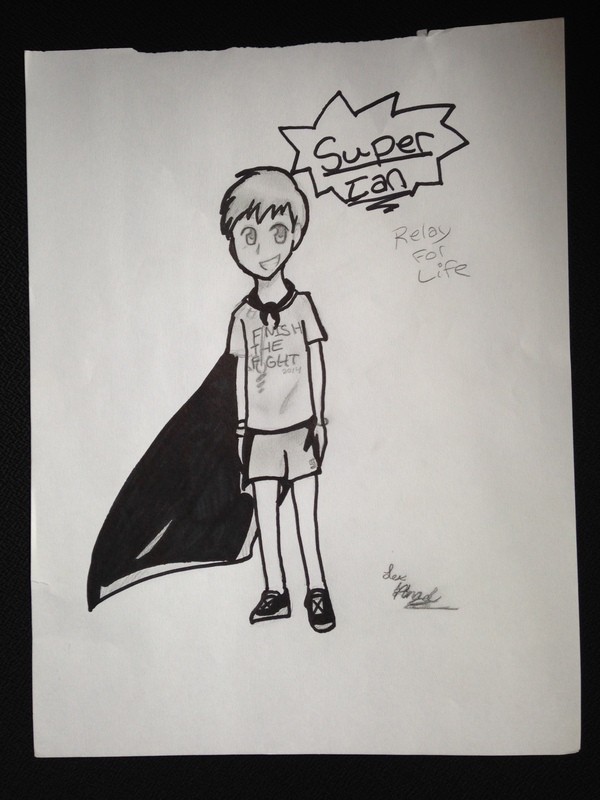 Relay for Life is raising money so other people can have a future like Ian’s present. Protecting Ian was necessary five years ago, but now I will envision that we are warriors helping others “Finish the Fight.” Ian is a symbol of hope for all the people currently struggling–he had a devastating diagnosis, but Ian beat the odds. We want others to have that same hope. This entry was posted in Life After Cancer, The Beauty Around Us, The Moments of Impact and tagged Cancer, Children, Relay for Life. Bookmark the permalink. What an inspiring story. Thank you so much for sharing it. Thank you for letting me know! I was sad that we didn’t get Alex’s name and a way to share this with her. I’m thrilled that my post found its way to you and Alex and that she now knows how important it was to us!